Overwatch embraced meme culture with its latest reveal. A new skin has been revealed daily leading up to Overwatch’s latest event, Storm Rising. So far, we’ve seen Talon Baptiste, Clown Junkrat, Scientist Moira, Deadlock McCree, and High Roller Wrecking Ball—but now we could be in for something a little different. The official Overwatch Twitter account posted a never-before-seen highlight intro of Hammond. The intro mimics the famous Dramatic Chipmunk video, and it’s absolute perfection. Hammond isn’t quite a Chipmunk, but he’s close enough. He has cute little whiskers, chubby cheeks, and his very own backpack. How could you go wrong? If anything, the new highlight intro is an improvement over the original meme. 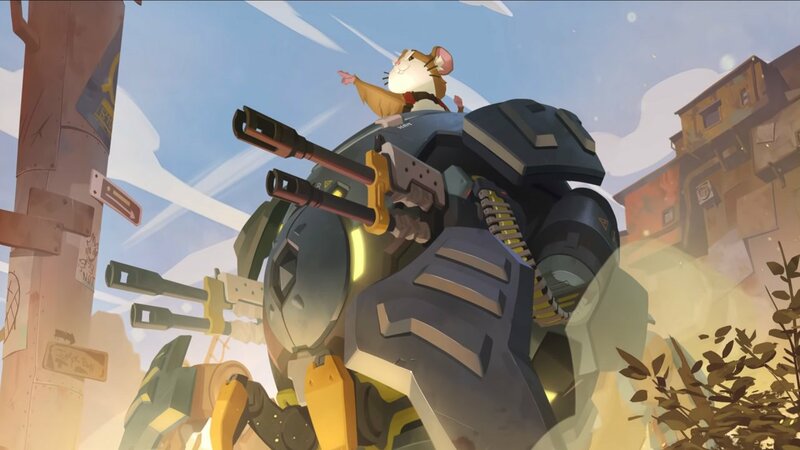 It’s not yet confirmed if this reveal will be an official highlight intro for Hammond, but under the circumstances, it’s a likely scenario. In addition to a number of cosmetic skins, each Overwatch event usually comes with a highlight intro or two—and this might just be the best one yet. Just imagine knocking three unsuspecting enemies off the side of the map before forcing them to relive it in the Play of the Game. The new Hammond highlight intro would add insult to injury. Storm Rising is scheduled to go live on April 16.